10 years after deadly police shooting sparked riots in Montreal North, how much has changed? It’s been 10 years since a teen’s death at the hands of police exposed longstanding problems in Montreal North. But since then too little has changed, say community activists. 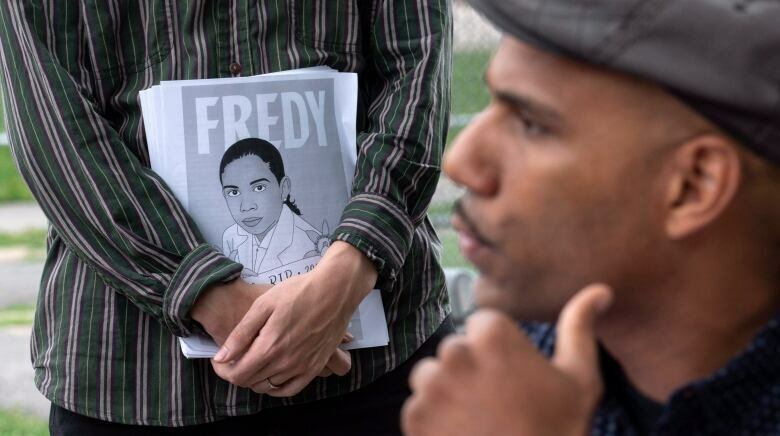 Activists are struggling to keep Fredy Villanueva's memory alive, others want to move on. In a quiet, leafy park in Montreal North, a group of children wrestle on the playground. At a picnic table nearby, a couple enjoys a midsummer picnic. 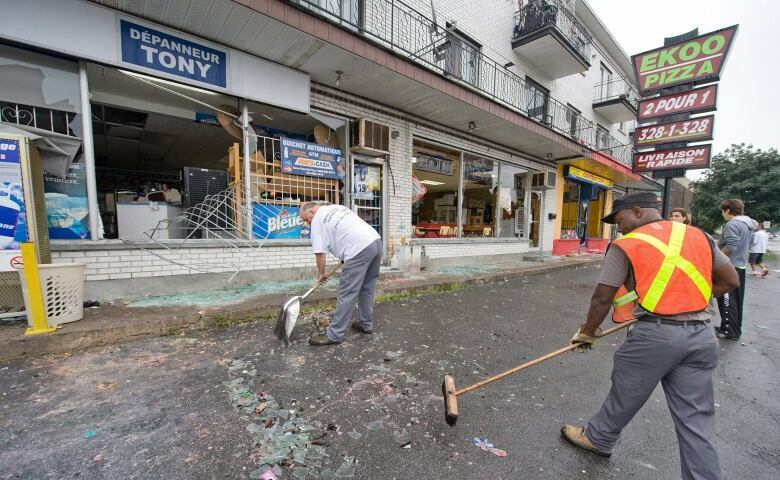 There are scant signs that it was here, a decade ago, that an 18-year-old man was shot dead by a Montreal police officer, leading to a bloody riot and years of tension between the community and authorities. 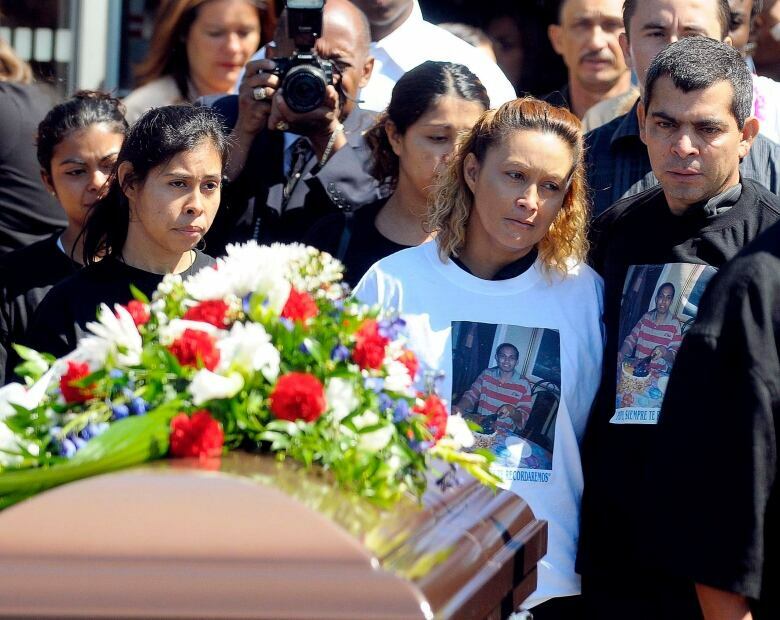 Community activists have since struggled to keep memory of the victim, Fredy Villanueva, alive. On a plywood fence surrounding a construction site in Montreal North, someone has plastered three posters bearing his image. But for the next generation of youth growing up in the neighbourhood, his name strikes no chord. "Fredy who?" asks Abiran Navaratnam, a 16-year-old camp counsellor with Les Fourchettes de l'Espoir, one of several social programs that saw its funding increase after Villanueva's death. In the 10 years since his death, a grassroots effort has been underway to build some kind of memorial to Villanueva — a proposal that's been met with stiff resistance from borough officials, as well as the police brotherhood. In June, the borough announced that, as part of a plan to overhaul Henri-Bourassa Park, it would create Place-de-l'Espoir, or Hope Place. It is the borough's way of acknowledging Villanueva's death. But there will be no mural, no plaque and no mention of his name. "We have had discussions on both sides, and we feel that moving forward would create more conflict than agreement," borough Mayor Christine Black said at the time. That omission underscores the lingering tensions over Villanueva's death and how he should be remembered. "This is just another way of burying Fredy, for a second time," said Will Prosper, a community activist and former RCMP officer who has worked closely with Villanueva family and been pushing the city for a memorial. Were you surprised by the riots? Villanueva was still a high school student when he was killed on Aug. 9, 2008. A coroner's report into the incident said Villanueva and his older brother, Dany, were near a group spotted gambling illegally that night in Henri-Bourassa Park. When officers Jean-Loup Lapointe and Stéphanie Pilotte moved to break up the game and arrest Dany Villanueva, an altercation ensued. Fredy Villanueva tried to intervene as the officers tried to handcuff his brother. Lapointe told the coroner's inquest he thought he was about to be disarmed and fired his weapon four times, striking Fredy Villanueva twice as well as two others. The day after the teen's death, a vigil in Montreal North turned violent. Several cars were torched, and looting was widespread. A police officer was shot in the leg. 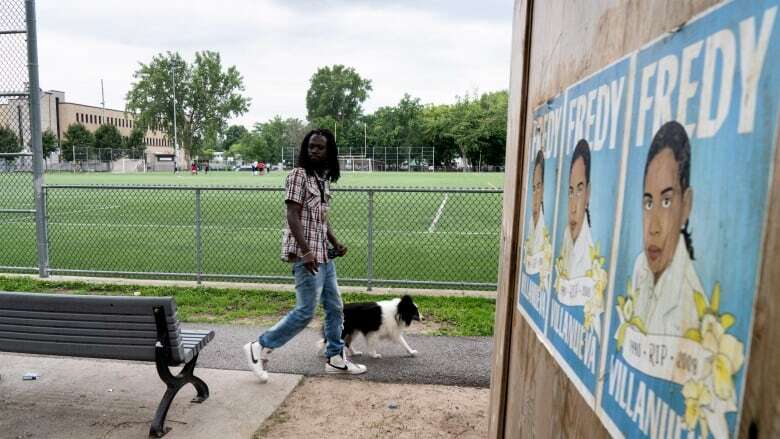 Villanueva's death and the ensuing riots brought attention to longstanding social issues in Montreal North — such as racial profiling and poverty — which authorities had failed to address for years. 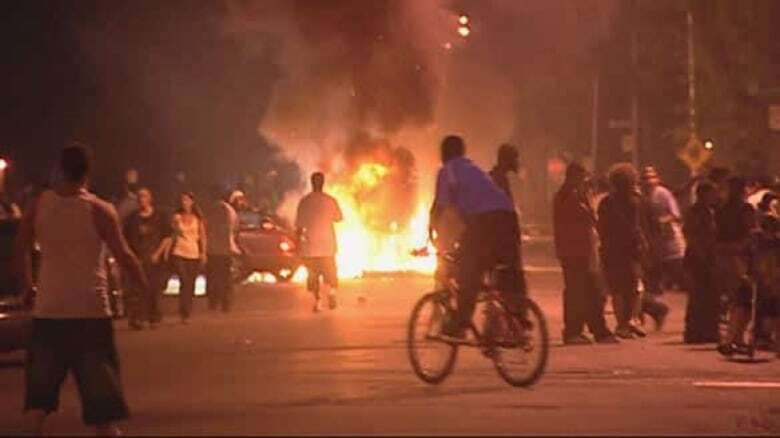 "There were a lot of people who were surprised at the riots," said Prosper. "But a lot of people who lived in the neighborhood and who worked with young people in the neighborhood weren't surprised. They were surprised it hadn't happened sooner." The coroner's report avoided blaming Lapointe for firing his gun but did question why he didn't seek to de-escalate the situation. The report also found that Montreal and provincial police broke several procedures as they carried out their investigation into the shooting. However, the official response to Villanueva's death has never satisfied many community activists, who say Montreal North still isn't getting the resources it needs. At the time of the shooting, some of the poorer areas of the borough were commonly referred to as "the Bronx" because of gang activity. It remains a neighbourhood that faces steep economic and social challenges. The unemployment rate there is routinely between three and five points higher than the rest of the island: 11.9 per cent in 2001 and 12.4 per cent in 2016. Figures drawn from the 2016 census indicate only 13 per cent of the working-age population in Montreal North claims an annual income of more than $50,000, compared to 27 per cent for the island as a whole. It is, moreover, a borough where nearly 50 per cent of the population identifies as a visible minority, but it is policed by a force that is still overwhelmingly white. Another anti-police riot, albeit smaller, erupted in Montreal North in March 2016. Following a drug raid by Montreal police in which one person died, protesters lobbed bricks at the local police station. "There's a lot of frustration still," said Prosper. However, as controversy swirls around how to mark Villanueva's death, other groups want to highlight the positive changes made in the community since 2008. 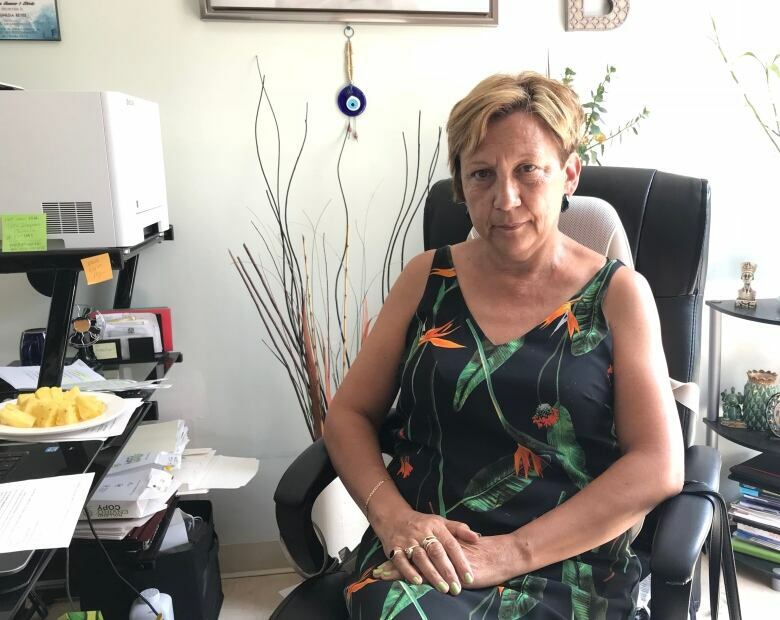 In an office not far from the site of the shooting, Brunilda Reyes described the events of ten years ago as a turning point for Montreal North. Reyes — who has run Les Fourchettes de l'Espoir since 2001 — says police relations have improved markedly. There are also more programs and resources available for at-risk youth. "If you ask me, 'Has everything changed?' No. But there is support where there wasn't before," Reyes said. "I remember very well that before 2008, I had no contact with police. No direct line." Now, she said, she can pick up the phone if a client has a problem. Les Fourchettes de l'Espoir initially opened in 2001 as a food security initiative. But with the additional funding that flowed following Villanueva's death, Reyes' group was able to expand. Now it offers a work-training program and day camp, giving young people like Navaratnam summer jobs in the neighbourhood. "I learned how to be autonomous, and not depend on my parents," said Navaratnam, who has aspirations of becoming an engineer. Other groups, too, have multiplied their involvement in Montreal North, finding different ways of engaging youth. Staff Lapierre, for instance, has teens working on projects to fight stereotypes about the neighbourhood. They were the driving force behind Lapierre/Pascal – Le hood en 5 jours, a web documentary released this spring in which strangers are introduced to Montreal North's charms. Borough officials hope by revamping Henri-Bourassa Park they will help make it a space amenable to neighbourhood youth. "It was important for us, on the 10th anniversary of Fredy Villanueva's death and the riots that shook our borough, to create this space," Black, the borough mayor, said last week. But without Villanueva's name or face appearing anywhere in the proposals for Hope Place, there is concern the events of Aug. 9, 2008 will soon slip from collective memory. And that, for Prosper, poses a particular danger. "We need to learn from the past," he said.